With all quiet on the Cambridge front I was planning posts to keep us busy until Kate resumes engagements next month, when I thought perhaps it's the perfect time for our tour possibilities series ahead of the couple's visit to India and Bhutan this spring. Today, we're taking a look at jewels connected to India from the Royal Collection, their historical significance, and potential options for the Duchess to wear during the tour. This post was rather different to similar ones I've written ahead of previous tours given the colonial history between the two countries and the political sensitivities involved with some of the jewels in the Royal Collection. Let's take a look at the history of the most infamous piece - the Koh-i-Noor. According to certain sources it is more than 5,000 years old. 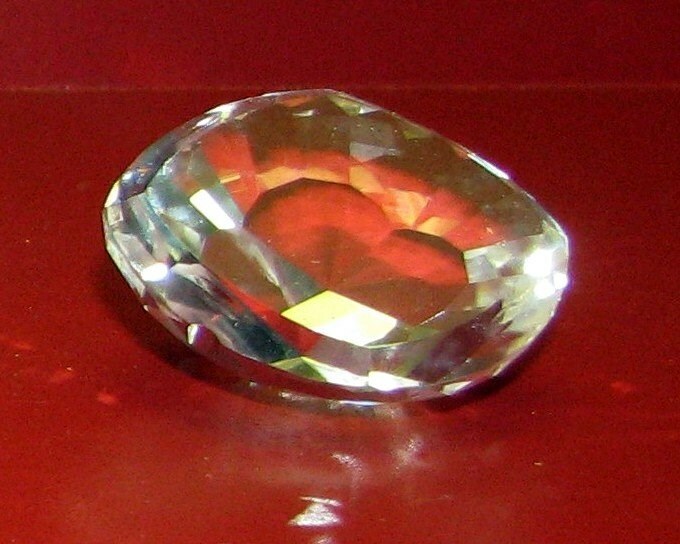 Below, a glass replica of the original diamond. Was there any truth to the curse? Has it held up? Given the piece's history as a spoil of war, one would have to say yes. It was in the possession of a number of Indian dynasties and the Moghul empire until 1739, when Persian general Nader Shah defeated the Moghuls. 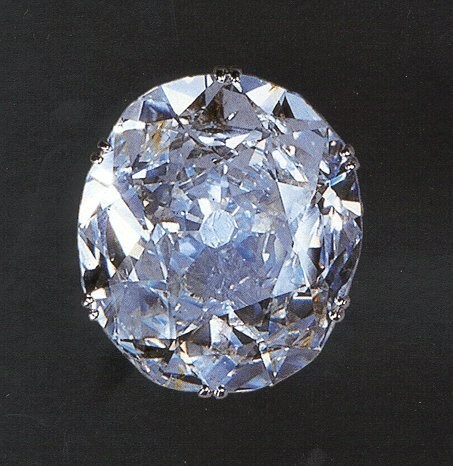 Upon taking the diamond he named it 'Koh-i-Noor' meaning 'Mountain of Light' and it made its way to Persia. Eight years later he was assassinated and it was passed on to one of his generals, Ahmad Shah Durrani. A descendant of Ahmad Shah brought the Koh-i-noor back to India in 1813 and gave it to Ranjit Singh (the founder of the Sikh Empire). 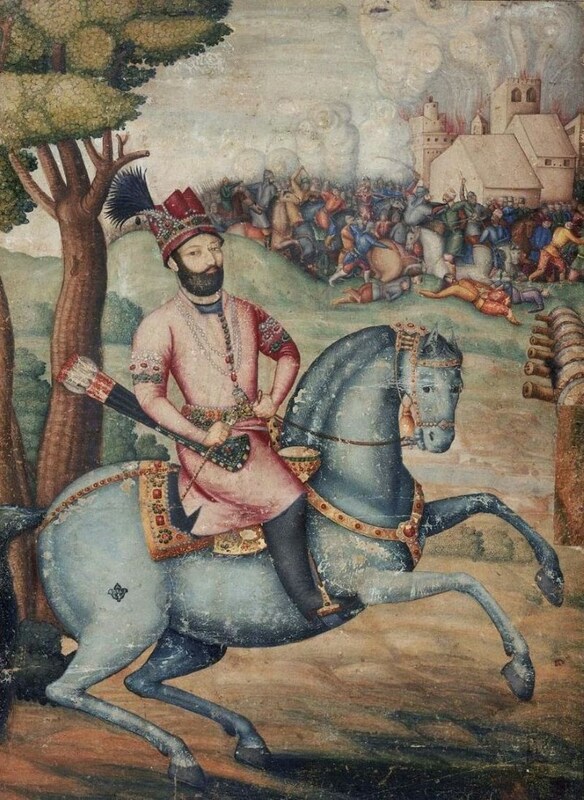 In exchange Ranjit Singh helped Shah Shuja get back the throne of Afghanistan. Fast forward to 1849, the properties of the Sikh Empire were confiscated following the conquest of the Punjab by British forces The diamond was shipped to Britain on a ship where cholera broke out and supposedly the keeper of the diamond lost it for some days before it was returned to him by his servant. The diamond was handed to Queen Victoria in July 1850. The diamond wasn't as shiny as other cut gemstones of that era leading to disappointment. 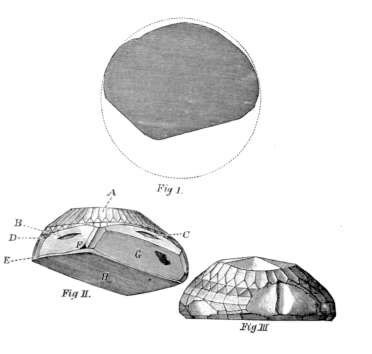 In 1852, it was reshaped by a Dutch jeweller, Mr Cantor, who cut it to 108.93 carats (a far cry from its original weight of almost 800 carats). It was considered a very poor job. Queen Victoria wore it occasionally afterwards, mostly in a brooch setting. After her death the Koh-i-Noor became part of the crown jewels. The stone was next used by Queen Alexandra, who had it placed at the centre of her crown, which was made for the 1902 coronation. 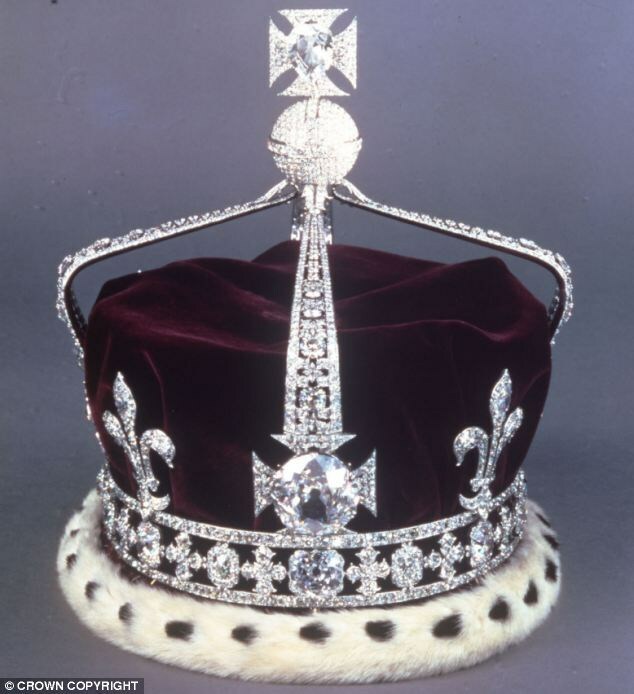 When King Edward VII died, the diamond was given to Queen Mary for her crown. It was then passed to Queen Elizabeth (the Queen Mother) in 1937. Below, we see her wearing it in the front centre arch of her crown for her husband's coronation. It currently rests in the Queen Mother's Crown, and is on display at the Tower of London. When the Queen Mother died in 2002, it was placed on top of her coffin for the lying-in-state and funeral. The debate over ownership of the stone continues to flare up. In 2013, during a visit to India, Prime Minister David Cameron was asked to return it to the country, and he replied: "The right answer is for the British Museum and other cultural institutions to do exactly what they do, which is to link up with other institutions around the world to make sure that the things which we have and look after so well are properly shared with people around the world. I certainly don't believe in 'returnism', as it were. I don't think that's sensible." Pakistan also claimed ownership of the diamond. The Queen has never worn it, and there's been speculation Kate may wear it when she becomes Queen Consort. Given the sensitivities attached I'm not entirely sure she ever will. Whilst looking for pieces with connections to India that are worn today, I consulted jewel experts Order of Splendor and The Court Jeweller (they also happen to be the writers of two of my favourite blogs). Ella Kay from The Court Jeweller suggested the Nizam of Hyderabad brooches may be an appropriate choice. For her wedding, the Nizam of Hyderabad selected gifts from Cartier - with instructions the then-Princess Elizabeth was to choose for herself. What does one pick on a shopping trip at Cartier? She chose a floral tiara and a diamond necklace. We have already seen Kate wearing the necklace - the Queen loaned it to her for the Portrait Gala in 2014. Could it make a reappearance in India? Back to the floral tiara... Despite selecting it herself she opted to break it up to create the Burmese Ruby Tiara and three detachable rose brooches. There is one large brooch and two smaller ones which Her Majesty usually wears together. We've seen HM loan brooches to Kate for previous tours - certainly one for the possibilities list. Below, we see the Queen accessorising a black dress with the two smaller brooches and more recently wearing the large one. Order of Splendor noted Queen Mary's Diamond Indian Bangle Bracelets - pieces I was completely unaware of. They were originally a wedding present to Queen Mary in 1893 from the Bombay Presidency, and later a wedding gift from Mary to Princess Elizabeth (the Queen) for her wedding in 1947. 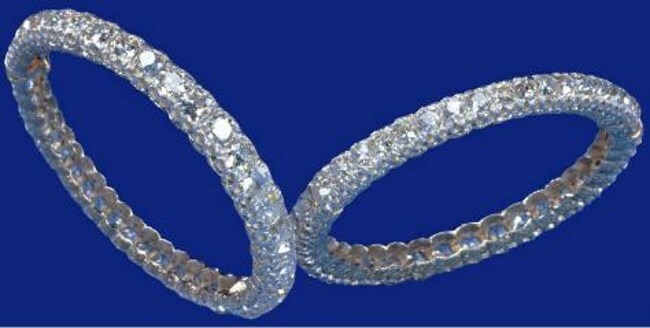 Both bangle bracelets feature a row of diamonds set in gold and silver, they can be worn as one or separately attached. The Queen mostly wore them in her days as a princess; there's a delicate, youthful feel to them, and I think they would complement Kate's style beautifully. We have Queen Mary to thank for the incredible collection of emerald and diamond jewels in the royal collection. According to Order of Splendor: "It includes emeralds given to Mary at the Delhi Durbar, the Indian celebration marking the start of George V's reign as King and Emperor (with Mary by his side as Queen and Empress), as well as the celebrated Cambridge emeralds." 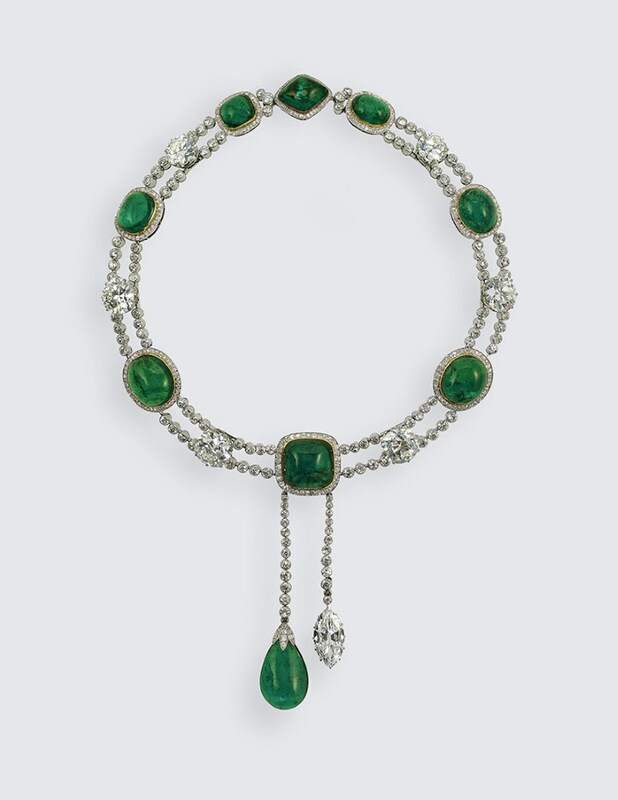 There are an abundance of drool-worthy pieces in the parure including an Art Deco emerald choker famously worn by Diana, Princess of Wales. The emeralds were a gift from the Ladies of India presented to Mary by the Maharanee of Patiala in December 1911. The Queen gave it to Diana as a wedding gift. It became one of Diana's signature pieces and many will recall her wearing it as a headband in Australia. Princess Diana was permitted to keep it after the divorce on condition it would be returned to the Royal family after her death. Now that we've seen Kate in the Cambridge Lovers Knot Tiara, I expect it's entirely plausible we'll see her in more pieces worn by Diana. 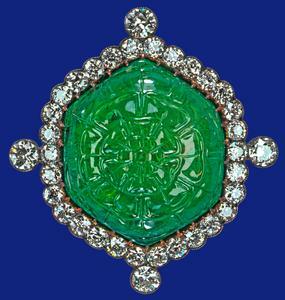 The Delhi Carved Emerald Brooch is a large emerald hexagon set in silver and gold, surrounded by brilliant cut diamonds. It was another gift given to Queen Mary by the Ladies of India at Delhi Durbar in 1911 that passed down to the Queen. HM has only started to wear it in recent years but it isn't one of her favourites. Given the grandness of the parure, I would rule several of the pieces out. William and Kate enjoy keeping their tours quite informal. The Cambridges' last tour of Australia and New Zealand didn't include an event which called for jewels and a gown (it is understood they wanted to be with George as much as possible in the evening). I would be surprised if there isn't one included in the itinierary this time and it would certainly be a treat to see the Delhi Durbar necklace. Speaking of emeralds, we know Kate has stunning emerald and diamond jewellery in her possession. You'll recall she first publicly wore the jewels in New York. I imagine there's a statement necklace to match the earrings and bracelet, and no doubt the Duchess received many sparkling gifts for her wedding. I expect the emeralds were one of them. It's been fascinating looking through pieces in the royal collections with connections to India. A huge thank you to The Court Jeweller and Order of Splendor for their invaluable input. Which pieces are your favourites? Would you like to see Kate wearing any of them in India? Do you think we will? We'll finish an off-topic note for those enquiring about the Cambridges. A reader holidaying in Mustique saw Michael and Carole Middleton at a party on the island, but there has been no sign of William and Kate. If they are planning to join the Middletons it will be over the next day or two as Kate has an engagement on 7 February. As it's an annual family tradition, it would be a shame for them to miss it! Thank you for the post update! They sound like they will be busy this year! Can't wait until we see Kate out again! The jewels are really beautiful! Joy, Joy, Joy, Joy. THANK YOU Charlotte for giving us something nice to focus on. relief, relief. As usual, you did excellent research. Glad you three blog gals are connecting. What fun. I am not really enamored of any of the pieces. Not sure why. Would love to see Kate in some bling, regardless though, even any of these pieces. Hopefully, she will receive some bling from the Indian government. And knowing how very much Jewelry Jackie Kennedy received for her wedding and subsequent tenure as the First Lady, I think Kate must have gotten lots of bling as wedding gifts from countries and people all around the world, and hopefully, some milestone pieces from William. Now, she just has to start wearing the bling. From memory I think Catherine and William asked that any wedding gifts be made to specified charities so maybe they didn't get lots of jewellery? Also I know when they came to New Zealand they were given more practical things like woollen jerseys etc. Maybe they might get jewellery when they visit India? Quite apart from the charty request, it is no longer common that groups, such as "the girls of Great Britain and Ireland" give gifts of jewels for royal weddings. I believe there were still some at the queen's wedding but not for Charles and Diana for instance. Times have changed. Royal wedding gifts of jewels are apt these days to have come from foreign nations, particularly in the Middle East, and those nations are unlikely to have given donations instead - the same with certain private wealthy individuals. We know Kate has received some jewels - the rubies and these emerald earrings - as gifts, and there could be more we have not yet seen. The charitable request was more likely an attempt to stop the flow of unsolicited wedding gifts from the public which can include all manner of things from nice to rubbish and to channel that public effort into charitable directions. I suspect personal friends still gave gifts. As for jewels as a gift from India, I think it's fairly unlikely, at least for anything of great value. The queen has received brooches from Sri Lanka and Malaysia - as well as other places, but these days the spectactular (and sometimes rather vulgar) gems all seem to be gifts from Middle Eastern sources. 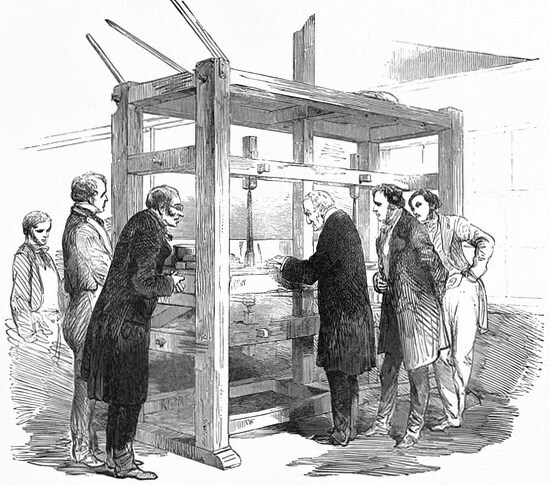 Thank you as always for including interesting history in your post! It will be so hard to wait for the upcoming tour! It is high time we see her stepping it up in the jewelry department, and it's been fun to see her slowly wearing more statement jewels as she becomes more involved in the firm! I really enjoyed reading this post. What great research you did with us. They are such fabulous pieces and with so much meaning behind each one. I am willing to bet that Kate will be wearing some of these and I cannot wait to see which ones. The blogs you linked to are excellent. I hope the Middletons are enjoying their time in Mustique and the Cambridges too if they are there. I just hope the paparazzi leave them alone. How awful it must be for them not to even have a private family holiday without prying eyes. For some reason jewels have never interested me that much, but I wanted to comment on the expectation that the Cambridges may be going on the annual Middleton family trip to Mustique. If William truly has a "real" job, perhaps he cannot take a week off at this time. It seems they accommodate a lot of time off for him to attend to his various Royal duties, so maybe taking a vacation right now isn't possible. Also, with two young children in tow, sometimes vacations are more work and more tiring than just relaxing at home! I have a feeling they're just lying low at home and won't be going on the trip. When do they normally go on the trip? I thought it was the end of January? It is. So they may be get there yet. How long do they normally stay? They probably won't go now since it is already the 30th. I wonder if Kate isn't in the Caribbean because of the threat of the Zika virus for women who may be or become pregnant. I was supposed to go in February myself, but cancelled my trip because I hope to have kiddos soon! I wouldn't be surprised if Kate had the same worries. As usual, a wonderful and interesting post! For me, the more sparkle the better! I hope you have an easy time conceiving and a healthy pregnancy! I, too hope we see a bit more sparkle since there's a better chance of scheduling evening events with George and Charlotte left at home. My understanding (from the US CDC) is that the Zika virus poses no threat to future pregnancies after the virus has left the blood stream (shortly after the illness is over). Perhaps this is still debated elsewhere. But unless Kate is already pregnant or actively trying to get pregnant (which seems unlikely given the scheduling of the India and Bhutan visits and her history of hyperemesis gravidarum in early pregnancy), I doubt she's concerned about it. Those are my prayers for you also Molly. Remember to take pictures of your pregnant tummy in your various maternity outfits. Lots of moms forget to do that. They are nice photos to have, both for you and the children. You can share with them, "See. This is when mommy was pregnant with you." type of memories, etc. They love that. They are recommending women not go if they mean to fall pregant soon. I doubt that is Kate's plan for this year with the tour and the queen's birthday and the little ones still so young - but accidents do happen! I'm not sure how much the Caribbean is affected - I thought it was mostly a problem in Brazil - but it seems to have spread so don't know if it would be wise for her or not - but she may already have travelled there. I thought she (Kate) would wait another year to get pregnant again, one reason that Charlotte is so little. But, as I'm sure you all know, it's rumor that she is. Kate is always rumored to be pregnant. Yes, you are right 15:53 and Michael, GH. But, I do know one magazine said that it was a Christmas announcement. I thought that that may be a good source, is it not? I think it is most unlikely Kate is pregnant or plans to fall pregnant soon - the tour is coming up and while they can be cancelled or put off - that would be a major disappointment to the nations involved - and there are also the celebrations for the queen's birthday. Given that Kate has fallen quite ill with her previous pregnancies, I would think she wait until there is less going on. But as we all know pregnancies don't always come planned - there can be accidents and with the warning for those who might think they could fall pregnant not to travel to the Caribbean, I would think it would be something William and Kate would at least consider - they would have the most expert opinions available to them. No news as to whether they have travelled there or not - no photos doesn't mean they didn't - there have been no reports of them at home either to my knowledge. I don't know what magazine said that, so I don't have an opinion about it as a source. I do know that friends who have visited Bhutan had to take medication to offset the ill effects of its very high altitude. I don't think Kate would be going there if she were pregnant. It is mainly the LifeStyle magazine that is saying it was a Christmas announcement. I agree, that this would not be the best time for her to fall pregnant again, but it always is a possibility. Is the LifeStyle magazine a good source? This tiara came up during the "dress Kate for a tiara event" post. Not sure what it means that it is part of the Royal Collection Trust but I would love to see it on the DoC. I know it is unusual but, for me, it has a lovely old world bohemian fairy tale vibe. Worn with the correct gown, I think it would be stunning. Oooh! That's *gorgeous*! I've never seen it before. Thanks! That is a pretty elaborate piece. It looks stunning and so different from what the royals have been wearing. That is an amazing tiara! The Royal Collection holds property that belongs to the Crown but not to the monarch or other royal personally. Queen Victoria set aside certain jewels to be worn by queens, and queen consorts since have added to that stash. The Royal Collection maintains them. Thanks anon 1:20 for clarifying the purpose of the trust. That is good news! If someone wants to wear it, they certainly could. Thanks Charlotte for such a great post, the jewel experts at Order of Splendor and The Court Jeweller certainly threw up some interesting details which was fascinating to read. It does make you wonder how much 'bling' Kate has got in her own personal collection that she hasn't worn yet in public - Looking back the "New York Emeralds" again she truly did look stunning in them. Let's hope there are a few evenings in the tour this year that we can see some dazzling pieces come out. Even the rerun of that ruby necklace she first wore to the Sun Heroes Award. It's also interesting to see how royal woman have adapted/redesigned/re-crafted their pieces to suit their own individual tastes without being too precious (excuse the pun) about keeping the original in tact. I know that for the larger/historical items that this would be unthinkable, but for the smaller personal pieces it will be interesting to see how the royal ladies of the future adapt and restyle them. Any news on a romantic helicopter ride? Or is that just gossip? Many interesting news tidbits the last few days, it seems Australia will almost certainly pull out of the Commonwealth sooner rather than later, I suppose they got a little impatient waiting until after the Queen's reign. And Richard Palmer has an interesting article about the future of charities and royal patronages under King Charles. Not quite sure what I think of that one yet. I understand the desire to be actively involved in every charity you support, but what seems like an "ornamental" visit to a royal is actually very significant to a charity, especially in terms of fundraising. Charlotte I hope you publish this. Personally I don't particularly appreciate being reminded of the Indian connection to Crown jewels because the history is quite.. shall we say... loaded. I don't think that Indians felt like they were the "Jewel in the Crown of the British Empire". Ever. In fact all Indians I know would fall of their chairs laughing at the very notion. But from the British Empire I can see why they felt that way. India was indeed responsible for a lot of British prosperity we see today. Very very complicated history indeed and one rife with many mixed emotions from both sides. I also feel slightly squeamish about going gaga over diamonds and rubies that were given to the BRF by the Indian royals who had usurped all land from the Indian masses and were lording it over them. At the time the Indian common person was essentially a bonded laborer then with no agency whatsoever. They worked on the land and paid taxes on top of what they produced and with those taxes the Nizam of Hyderabad designed beautiful jewels for the British princess. How lovely indeed. The per capita income of an Indian was about 1000 times less than a British citizen then. The average Indian citizen had access to less than 800 calories to eat then each day. I don't want to rain on the ladies' obvious enjoyment of pretty things, but there is some sensitivity to be shown here. Secondly to your point Claudia there was a parallel article in the Express that the queen is abdicating when Charles turns 65. BP denied it. Lots of stuff being written everywhere. I'm a proud Aussie & am eager to throw in my two cents worth. The Republican debate has long raged in Australia. It comes up all the time. We even had a referendum on it in 1999 where we decided to keep the Queen as our head of state. It is an interesting debate....& i think it will remain a debate for a long time. The problem always seems to be that no satisfactory alternative has ever been proposed. In our news at the moment its being reported that all our politicians at a National & State level want a Republic. I'm cynical enough to think that this is only natural as it would surely give them more power. But i think the monarchy is safe in Australia. The Republican movement isn't strong at the moment. It pops up in the news from time to time but most people seem happy with the status quo. What happens once the Queen passes (hopefully not soon!) is going to be interesting. Im not sure how popular Charles is here. It may be the spur on that the Republican movement needs to call for another referendum on the matter of our head of state. One final comment - I think it is highly unlikely that even if we removed the Monarch (whoever that is) as our head of state we would leave the Commonwealth. This isn't being proposed even by the Republican movement & wouldn't be a popular idea i don't think. We're quite proud of the Commonwealth & are a very active member within it. Anon 17:09 I really enjoyed reading your comment. Thank you for sharing a very interesting view. It certainly puts a whole other spin on any jewels that Kate may wear during the tour and it makes me think......when other members of the BRF have visited India....did they wear any of these jewels? & was there any reaction for doing so?? Anon 17:09 I think that's good perspective to share, as I said it's a long and complex history, seen very differently from different sides, loaded indeed. I've lived in the states for almost 20 years and this past year was the first time I saw such backlash over the Christopher Columbus holiday, he was always portrayed as quite the hero when my children were in school. But history is viewed differently depending on the individual experience. As for the Express I usually go by the byline, not the paper. For instance, the DM can border on fiction, yet they do have a handful of very well sourced reporters. The article about the Queen's abdication in the Sunday Express was several years ago from a reporter whose name I don't even recognize, while I know Richard Palmer to be an excellent correspondent. That said, you're right, even the best reporter can have sources fail them at times! I've read a lot about Charles' plans though and I'm on the fence, still not sure what I make of them or if they can be pulled off. Nerissa, glad I inspired you to comment :) Always good to chime in, especially as Annett said when it's first hand! I've said many times before I feel we're on the verge of very fluid, maybe even choppy waters with the BRF... I'm most interested in seeing how things evolve in these next few years! The newspapers in India objected strongly when Camilla wore the Delhi Durbar tiara once in London. She has not worn it again. In 1992, Columbus's discovery was not celebrated but regretted. In 1892, there was a considerable celebration. I am sorry, but I think Richard Palmers recent articles are a lot of sour grapes and to some degree an insult to my intelligence. He was not reporting facts here, but negative supposition. He has no way of knowing what exactly Charles or William or Harry are going to do! In the article he makes a statement of fact that all Royal Charities are reviewed every ten years and they may or may not be renewed. Why is this so bad? Just because they have been a beneficial charity in the past does not necessarily mean they remain that way. There are soooo many charities that are just fleecing the public with the heads making millions and the donations not going help people. I somehow doubt that all of a sudden support of the charities of Princesses Anne and the Wessex's will be done away. As far as Charles paring down the Monarchy it does not necessarily mean that charities supported by some of the minor Royals will be automaticly dumped as Richard Palmer suggests. I suspect they will probably be reevaluated on a case by case basis. What I constantly read here on this blogg is that the naysayers do not want to pay their 58p to provide the protection of the BRF... Well you can't have it both way's. If you want the BRF to continue with their charity work, then you have to be prepared to continue their support. If the UK does away with the Monarchy, then the people of the UK, including Richard Palmer, will be responsible for the loss of the support of the charities - NOT Charles, William and Harry. Somehow I think Mr Palmer will find a way to blame them. Prince Charles is now 67 years old, and there has been no abdication! 23:58, what an amazing set of observations and comments you have made. And, I agree with them. The Palmer article is interesting - I would find it disappointing if true - so hard on so many charities, especially small ones where visible royal support can count for so much. Another interesting article is a poll taken by Hello! Magazine of 25 January (Issue 1414) giving a very interesting perspective on what the public polled would like to see and who is most popular - but I saw no statistical information in Hello! on how the poll was taken - so that has to be considered. The overall impression though is that those polled would like to see the younger royals take on more work. I think I just drooled looking at those jewels they are so amazing. When I visited London in 2010 my abosulte favorite part was visiting the tower of london and looking at the crown jewels..its shame they don't let you take photos.. I suppose it's because it would hold up the line too.much! Maybe since it is do slow on the Kate front maybe you can do a.post highlighting the items on the crown jewels? Sarah, I visited in 1997 and got on the loop a dozen times inspecting/learning about each piece. I agree with you: AMAZING! It's a great city to visit. I was hooked after my first trip. You really must go, after several visits there is still so much I haven't seen and done. I took my two oldest daughters last June and got to go the Trooping the Colour and see all the Royal family and Kate of course! Didn't see George because once the parade was over we just wanted to find a bathroom and some lunch and figured we would be so far away from the Palace and not get such a great view anyway. When I went to London in '93 I was lucky enough to see Princess Diana, arriving at a movie Premiere in Leicester Square. I was in London last summer and went to Trooping the Colour with my mother and 2 month old son! It was soooooo exciting. I left my husband back at the flat with my toddler who is George's age. It was a thrill to see the royal family in person!!! As always, a great post! Thanks for all the research! So interesting! I hope Kate and William head out to join the Middletons as I'm sure the break would be lovely! Such a great post! I really enjoyed reading it :) I would like to see Delhi Durbabr necklace and again emerald and diamond jewellery which Kate wore in New York. What an interesting topic to research and read. Thanks Charlotte for the thorough research and interesting facts. I hope we do see more jewels this tour for Kate. She has really started to increase wearing the more significant jewels in her collection and items from BRF. This spring is shaping up to be very exciting and I can't wait to come here everyday for your coverage. What a refreshing post, and what work went into it. I just love all the emerald pieces. I hope Kate wears some of them. I would love to see the choker Diana wore on her. Great expectations! King George V's Imperial Crown of India, now in the crown jewels at the Tower of London, and Queen Mary's Durbar tiara, worn once by the Queen Mother and once by Camilla, were both made for the Delhi Durbar the king and queen attended in India. Jewelry. Sometimes she comes off as half dressed Jewelry wise. That NY dress needed a necklace. Her hair should be up when she wears statement pieces and she should have fun with it and not be so apologetically shy wearing it. The Queen certainly isn't and never has been, even when she was Princess. And she wouldn't be loaning pieces to Kate if she wanted Kate to be subdued about it. Come on Kate. I am one of your long time fans but "girl it up" a little. Don't be afraid to dazzle. Princesses are supposed to dazzle. I agree and think most reading here would love to see Kate dazzle but times are different and hard now, and I think Kate may be wise in taking it a little slow, at least until she is more fully involved with royal duties. At that time, wearing royal gems with become fully integrated in her royal life. Even so I hope there is at least one formal event in India so we can see a lovely gown if nothing else. Does Diana look dazzling in that green necklace or what? She has such a glow. Frankly, I hope a future monarch returns most of these jewels to India. Even the ones that were technically "gifts" cannot be separated from the colonial history of Britain and India's relationship, I.e. is it really a gift when you know you may lose the favor of the ruler of your nation, someone who has already caused great violence to your country, if you don't give lavish jewels? So I hope Kate doesn't wear any of them. Imo it's not right to parade ownership of something that rightfully should not belong to you, especially while visiting the nation it does belong to. Then again, keeping the jewels but then wearing others while visiting may be a slight as well. Perhaps one of the less controversial ones would be an okay compromise.I guess my point is really that I doubt whether or not Kate personally likes any of the pieces will play much of a role, if any, in choosing what pieces to wear (if an occasion calls for it). This is somewhat unrelated but I'm also interested to see if they visit the Taj Mahal publicly - if they do, it's horrible PR for Charles, because of the inevitable comparisons to that picture of Diana, alone, in front of it - a picture seen by many as symbolizing the breakup of that marriage. But the Taj Mahal is obviously quite symbolic and famous, and usually an obvious spot for a tour of India. But I hope they skip it - there's no need to bring up those old memories in a way that hurts Charles' image. And after all, Kate visited New York but didn't make it to the Empire State Building. Maggie, I don't understand why you believe that gifts should be returned. The Nizam chose to give a gift to the then Princess Elizabeth, a wedding present none the less, how he paid for it doesn't matter, and even so you haven't given any proof that he paid for it with taxes taken from the poor of the country. Second, the Ladies of India CHOSE to give a gift to the then Gueen to mark her husband's coronation as far as we know they were not put under any kind of pressure and certainly were not forced. Yes the colonial history is sad and I firmly believe that once two countries relationship is reconciled spoils of war or taken during occupation should be returned like the Koh-i-noor. But a gift is a gift no matter the circumstances. Last. It is not parading or "lording ownership" for Kate to where the jewels given as gifts and I am sure careful consideration will be had in the selection of each piece she wears, as always. If she wore the Koh-i-noor, which would never happen, after they asked for it to be returned just 2 years ago that would be a different story. I think it is naïve to ever think that the Koh-i-Noor will be returned to India, Mary. The reason for that is that the British government fears it will create a precedent, which will give an opening for all former colonies to make similar demands. As Cameron stated, the British museums would be emptied. And it is unlikely to be isolated to the UK; more or less all European nations have at one point or another had colonies across the world from where they took many riches (Spain, Portugal, France, Germany, Netherlands, to mention some), and if the UK gives in, others will be tempted to try the same thing on other nations. From a legal perspective, it would be massively stupid for any government to create a precedence where the current generation must be held responsible for what happened a century or two ago. And as far as the Koh-i-Noor is concerned, India is not the only contender for the stone – Pakistan, Afghanistan (through the Taliban), descendants of Ranjit Singh (the one who handed the stone over to the British), all have laid claim to it – so the question is, who has the greater right to it? Beyond that, the stone was obtained by the British through the Treaty of Lahore, a legal agreement, which had an explicit provision for the stone’s transfer to the British crown. So can the Indians claim it was theft? And what on earth will India do with them, in the unlikelihood they’ll get it? The conditions of their museums are abysmal, relics aren’t properly taken care of (in one instance, the only mummy in existence in South India is rotting away in a museum), and the security isn’t much better – they were incapable of preventing the theft of the Nobel Prize medal of Tagore – so either it’ll get stolen, or taxpayers’ money will be used on security. Or it will be kept in the Reserve Bank of India, like the Jewels of the Nizams, out of the public eye, and out of regular public access. Trying to reclaim the Koh-i-Noor is a useless endeavour, for the simple reason that it was obtained in 1846, by means of a legal agreement. Had it happened a decade ago, like the looting of Iraq’s cultural heritage after the 2003 invasion, or had its roots in the looting of Europe’s treasures during World War II, it would have been a very different matter, both legally and morally. But as far as things that happened a century and a half ago, it is best to leave it in the past, no matter how bad the history between the two nations. India and Britain are not the only one's who's had bad conflicts - Denmark and Norway, Japan and the US, Germany and France, the US and the UK, are amongst them who have had their fair share of conflicts, but they have gotten past that - by letting the past remain in the past. India should do the same. But I agree with you as far as the other jewels go. Why should the private belongings of the queen be handed back to the Republic of India? It not only seems petty, it presents certain complications. Of all the pieces Charlotte have listed, barely any come exclusively from India. 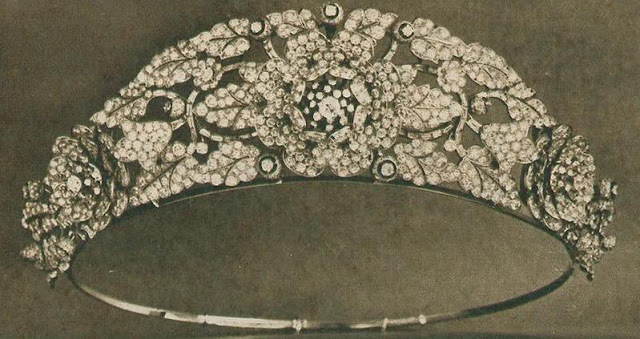 The tiara Elizabeth received as a wedding gift these days contains Burmese rubies that did not come from India, and only parts of the Delhi Durbar parure actually came from the Dehli Durbar – the Cambridge emeralds, won in a lottery in Frankfurt, were not part of the jewels given to Queen Mary (and by this line of argument that you shouldn't have ownership of something yo don't rightfully own, those gems should go to the Countess of Kilmorey’s descendants, since she was supposed to inherit them, but Queen Mary prevented it. If things should be done right, all these pieces would have to be broken apart, and each stone accounted for, otherwise India would receive things they had no right to. This makes it even more petty - what is the Republic to do with simple gemstones? My point is, it will never ever be as simple as handing them over. These are jewels that have a long, and often a complicated history, with interchangeable hands and alterations done from owner to owner, and returning them is complicated and messy at the best of times. And I do believe the British government would advise any Monarch against returning the stones anyway, even if they are privately owned, because again, it might create an unfortunate precedence. As for what jewels Catherine might wear, I don’t expect she’ll be wearing any of the jewels that came from India. The Queen has always been very careful to avoid slighting hosts, and wouldn’t be thoughtlessly lending them out to her family members. For instance, on a state visit to Russia, there was speculation whether or not the Queen would be wearing the jewels that Queen Mary had bought from her Russian relatives fleeing the revolution (at quite reduced price, too! ), such as the Vladimir tiara, but probably knowing it might upset the Russians, she took the safe option of wearing sapphires and diamonds. They are likely to go the same route on the tour to India; after all, a lot of planning and thought goes into those tours, not least in the wardrobe department. Mary D. do you believe that history is documented? There is a lot of documentation on how Indian royals made their wealth. If you want to verify for yourself feel free to check. I am not making it up. After the British left India all royalty was abolished and democracy was instituted. After that there was a period of Land Reform where the land was essentially given back to those who were working on it. It is fascinating how the entire process was carried out. As a result of the particularly zealous Land Reform movement Indian land holdings are among the smallest in the world - which has its own set of other problems. The Nizam of Hyderabad was a particularly weak and reviled fellow. Universally all historians have panned him as such. I don't know whether you have thought about this, but the only way royalty got rich in those days was through taxing the country - that you agree on, right? The Indian taxes were especially excruciating because the common person was so poor. I personally don't think that many Indians care about whether the Kohinoor or other jewels are returned or not. There are many more pressing problems around the world. It is seriously a non-issue now. Occasionally people bring it up but no one seriously expects the British to follow through on it. Diana always showed sensitivity in selecting what to wear in India. The queen on the other hand always picked the big honking jewels with the most controversial history. She comes from a generation who were less nuanced and had a less ambiguous position on British imperialism. She was raised to believe that it was her right and entitlement to enjoy the "spoils of war" as you put it. Our generation was raised with a more grey perspective on colonialism. We accept it but also have to learn from it. As Claudia pointed out above. I am in agreement with you Mary, why should they return gifts given as wedding and birthday gifts. Jumping to conclusions as to the ownership is not at all helpful. William and Kate bear no responsibility for whatever " violence" occurred during the very turbulent struggle for independence. Also not sure why William and Kate should not take the opportunity to visit the Taj Mahal while in India.. They are not responsible for the break-up of Williams parents marriage. If it becomes a So called PR disaster it will be the responsibility of the media and others who want to cause a stir. What a shame for them to bypass on opportunity to see this great landmark. I very much agree with you. 00:15. If the entire provenance of any/every Jewelry piece had to be taken into consideration before wearing, many pieces would be left gathering dust, buried in history. And dear heavens, William and Kate have visited places before where Diana had been. I think NOT visiting the Taj Mahal would be way weirder than them visiting it. I also have the problem that I do not see what at all India intends to do with the Jewels. I really doubt majority of Indians even care but just some few politicians. Is it going to gather dust in one of their poorly maintained museums or sold to a rich individual. I'm learning towards the latter. good points 12:10. Provence on a piece can be very intricate. Also, if they want to visit the Taj Mahal why in the world wouldn't they? Not doing it is just as significant, you are right. Kate's neck looks so cold and bare in the gown she wore with William in NY. The green dress Diana wore with the necklace is a gorgeous color and really compliments the necklace. She knew how to do it. Her fun with fashion and feminity was always there. I disagree. Kate has a beautiful neck and shoulders. That dress, with her hair up and the amazing earrings, made the most of one of her best features. Her beautiful face also shone, and since she was pregnant, she kept the focus at the top. It was one of her loveliest looks. Upon reflection, you might be right about that, 14:10. The fact that I do not like those earrings played into my original opinion. Now I think that those earrings were too long to accommodate both a necklace. Still not my favorite outfit of hers though. Anon 14:10, I'm with you all the way. She DOES have a beautiful neck and shoulders (one of the reasons I wish she'd wear her hair up more often) and in this photo she looked nothing short of regal. Definitely one of Kate's all time best looks. Magnificent she looked. Totally agreeing with you 14:10. Kate has BEAUTIFUL neck and shoulders. She DOES NOT need a necklace to look BEAUTIFUL! Necklaces can ENHANCE natural beauty. Beautiful women have worn necklaces for centuries for that very reason. And NO ONE said Kate needs a necklace to "look beautiful". Just ONE outfit was being mentioned. I think she needed a necklace with that gown per the portrait design of the dress' neckline. She would have needed different earrings for a necklace though as the green ones were long. I am not a fan of those earrings either. They resemble the architecture of the diamond ones Kate wore with the Lotus tiara. Not a fan of either pair. The earrings and hair up were so much better a look than the Hyderabad diamond necklace with her hair loose! The latter obscured the beautiful neckline of the dress and Kate's lovely shoulders. I don't especially like the design of the earrings, either, but they are reagal, and I did like the emeralds with the gown and in honor of St. Andrews University. It was a truly splendid look. I would love to see some jewel-worthy events on the upcoming tour! When does the itinerary normally get released? I think Kate will have so much fun with the cadets. What a smile her pilot/pilot instructor grandfather, Peter Middleton, must be smiling in heaven. Her Mom and Dad are probably especially happy about that also because of their flight industry history. And then there is William, a pilot himself. This new honor for Kate was made for her. And Phillip, who flew flights with Kate's grandfather, handing that over to her is even more and more special. I wonder if she will be given a uniform or will wear civilian clothes or both, depending on the occasion. Would she wear a uniform ever when with the cadets? @ibbitsc it was agreed that our new Patron would not wear uniform or have a rank so we agreed to mirror my title of Comdt. wow, Rebecca, nice research. Thank you. I agree that W/K obviously requested donations to their charities in lieu of weddings gifts pertaining to the general population worldwide. Very nice thing to do. I also believe that within their very large personal circle, worldwide, that other gifts were received from them, including Jewellry. Like the ruby and diamond set, for example, and the diamond and emerald earrings. i think the design of the emerald and diamond earrings was all over the place, very messy design. They didn't fit the earlobe. It wouldn't be a whole lot of fun getting pieces you don't particularly like and yet, out of courtesy, having to wear them anyway, if even once or twice. Not saying she didn't like those particular ones though. When the Queen passes, a long from from now, I wonder if she will leave the two bracelets Kate wore to the Chinese State dinner to Kate or to her own daughter Anne. The one bracelet was designed by Anne's father for Anne's mother from Anne's grandmother's tiara for their engagement/wedding. Very special. Maybe Zara would inherit that, although I doubt Zara would have as many occasions as her mother might to wear them. Or she might give it to Kate since Kate will be Queen consort and then Queen mother and have MANY opportunities to publicly keep that sweet legacy alive and on the front photos of history as time goes by. That would honor the provenance of the bracelet for sure. I always assumed that the Queen will leave everything to Charles since inheritance from monarch to monarch is tax free and he'll loan out the jewelry to the women. I know that money can be put into trust funds and after 7 years or something no taxes have to be paid. (Isn't that what the Queen Mother did?) So I would assume that the Queen has set up trust funds for her children and grandchildren years ago. But can you put jewelry into a trust fund in the same way you set up money in trust funds? I loved this post. We have this silly show here in the US called the Royals and the faux King is always wearing the the Koh-i-Noor. I never knew the history behind it and you explained it well. I live in the U.S., but LOVE to keep up with Kate and royalty (mainly Kate though:)). I have never heard of that show, but I'm sure your right. :) I would love to visit London a few times. I would love to see Kate herself, but probably will never. I love reading the latest news on her. It's hard to find a good source to go to, to see what really happenes. Then when someone showed me this! I was SO excited!! It really is a good source that does not make up lies. Thanks you Charlotte for doing this trustworthy blog for us all to read! Have a great Sunday! The Huffington Post is now adding a note to all of its stories about Trump, in which it calls Trump a racist and a serial liar. I greatly applaud HP for doing this, because it is true and the media already eserves is criticism for giving Trump too much attention/credit, but what happens if he wins the presidency? Kate is the wife of a future monarch of an ally of the United States - and she will be bringing a ton of attention/publicity/money to a publication...a publication that posits as fact that the President of an ally of Britain is a serial liar and racist. There's a reason why Charles edited a magazine about the outdoors and country living, not a news site that endorses views the royal family doesn't want itself tied to. Again, I'm hugely in support of what the Huffington Post is doing in regards to Trump in this instance. But it's still a good example of why it's a terrible idea for Kate to be guest editing it. Interesting what you are saying, Maggie. Are royal jewels gifted to women in the royal family by hierarchy? For example since Camilla is married to Charles she has been seen wearing the biggest tiaria's and blingest jewels, as compared to Sophie. Or can any wife wear the jewelry if she has permission from the Queen. I guess what I'm trying to say is, if there is a state dinner, can Sophie go and just pick out a tiara or necklace? Or does she have to wait to see what Camilla and Kate will wear? I don't think there is any rule as to size. The Gloucesters still have some very large tiaras and pieces and often the duchess wears them to royal events even though they are quite far down the succession. What she wears may be even larger than what the queen wears. I believe it has more to do with who has been loaned what. Charles seems to have obtained a loan of many of the Queen Mum's pieces for Camilla - the queen mum's taste seemed to run to quite large pieces - I think she looked wonderful in them and Camilla not so much - but many disagree and with that huge dated hair style, Camilla does need a tiara of some size. There's an interesting report on that tiara over at OSS. Otherwise, it is based I believe on what the queen agrees to loan and she has offered some pieces to Sophie and some to Kate. I would expect the more major pieces to go to Kate for her use but don't think it is judged by event. There has never been a true jewel foundation in the British royal family and so many fine jewels have slipped away in the past - given to younger sons and daughtera - and often the families, as they leave the direct royal line can't retain them and special jewels end up being auctioned to pay death taxes. From Princess Victoria who "disposed of" her mother Alexandra's wedding tiara to the lovely pieces gone to the Harewoods including the tiara designed by Prince Albert, to the sale of some of Princess Margaret's things - no one knows for certain what of hers may return to the crown - jewels disappear. While gifts were well-intended, I suspect that wasn't what the giver planned - to see some Russian oligarch have it or have it disappear into an American collection. So many of the queen's pieces now are modern Middle Eastern ones that to be especially careful with jewels of historical significance is very important. And there are no death taxes for the monarch and so loans rather than gifts make sense. Thanks Julia, it was so nice for you to answer my question. And yes it all makes sense. Charlotte, lovely post! The jewelry is brilliant,the history, fantastic but you are more Brilliant and Fantastic than any piece of jewelry! Cheers to the many years we have shared together! On a different note: I have always thought the Queen was such a pretty young girl, teen and young woman. I just love her and always will: a dutiful person like her (at least where I live) is hard to come by, and I just appreciate that spirit in her so much. I love almost all of the jewels. But my grabs right away are those gorgeous diamond bracelets/bangles, the Durbar necklace, the chocker necklace Diana wore, and Catherine's Emerald earrings. I love Emeralds and sapphires and diamonds. thanks for a fun post. I would be thrilled to see the nizam of hyderabad necklace again, this time with her hair in an updo! Wow.. the koh i noor diamond is almost bigger than a golfball! But all of these pieces are so lovely, hopefully Kate will have enough occasions to show off several of them! On the holiday note, I have read about this virus a lot, it is almost everywhere, tabloids or papers as well. I really wonder if they gonna take the risk. Especially there is no cure yet. Wow it is a tough decision to make for sure. LOVED, LOVED, LOVED this post!!! Thank you SO MUCH, Charlotte, for this totally interesting and informative post - it was such a pleasure just reading and have your eyes go wide open just looking at all the lovely pieces.... It was a real treat! I love the other blog "Orderofsplendor" very much, too, and I´m happy that you all interact and exchange information. Have a lovely weekend, Charlotte, and all dear fellow readers!!! A lovely post - you really did a brilliant job Charlotte - I love the sites who helped you, but your style and photos are always exceptional. I would be thrilled to see Kate wear more of the royal jewels but at the same time, I think she has been very discreet and wise in bringing them on slowly and building up our anticipation. Camilla always looks so much like an overly gilded lily while Kate has her own beauty without needing too much adornment. I would still love to see her bring out some special pieces in India. The Nizam brooches and the bracelets would be my choices. It's probably dreaming on my part but I would love to see the Nizam tiara recreated for Kate. The porportions would be just right for her. It would seem possible as the brooches still exist and surely there are some spare diamonds about for the balance - but I fear it is sadly unlikely. Ironically, I didn't like the necklace on Kate. It was too short for her neck and while it could be lengthened, too fiddly for her as well. She has wonderful shoulders and a pefect neck and necklaces of a simpler, bolder design would suit her better. That necklace seems meant for a petite woman like the queen. I've noticed Kate's eyes seem to change colour a bit with what she wears. At times, they look hazel but when she wears green, such as at Christmas, their green tone comes out quite beautifully. So I would love to see Kate in more emeralds soon but perhaps against a green gown - such as some of those chosen by readers here for the state banquet. I don't see Kate wearing the Delhi jewels for the most part yet but that choker that looked so well on Diana might suit her and would be an excellent choice since it is really best on someone youthful. I liked the petrol dress and the simplicity of wearing just the earrings but I'm not sure the colour best complimented the stones. It wouldn't have done with sapphires either so I can see why Kate chose as she did, but a green or white gown would serve better. As for the koh a noor, I agree with the PM. It has belonged to so many groups and has passed through so many hands, that retuning it would not be a conflict free situation and I don't believe that is wise. At the same time, it is probably best as a museum piece - there is not a long history of queen's wearing it and today that might be too political a gesture, as much as I prefer jewels to be worn. Its history reminds me of The Moonstone - I'm not certain of dates but perhaps that's what inspired Wilkie Collins. The Hyderabad brooches do exist. The Queen wore my he larger one twice while she was at Sandringham. The larger one. Thank you, spellcheck, for that nonsense. I agree about not matching jewels with clothes. It is quite an old-fashioned thing to do. Most people these days choose complements rather than matching colors. No need to match of course, although I see nothing too old-fashioned about it as long as it is done well -wearing matching colours can be even more difficult than contrasting ones if the shades don't blend comfortably. I was thinking more of how green brings out the colour in Kate's eyes - one reason Diana's appearance in that blue velvet gown with the sapphire and pearl choker is iconic, is the way those colours picked up her blue eyes. I'm sure Kate was thinking of St. Andrew's colours and I did think she was glowing in those photos but I also thought the emerald earrings and that shade of blue did not work well together. There is another blue/green royal wearing out there - the recent portrait of Sofia of Sweden in her emerald tiara and a blue lace gown - the result was controversial and I'm not sure the overall look did much for the emerald tiara. What a different and interesting post Charlotte, thank you! I am excited to learn the dates of the tour! I know it sounds like it will be in April. However, I hope it is mid-late May. Kate won't miss the Queen's 90th birthday, her 5th anniversary, or Charlotte's 1st birthday. And Queen Jetsun, who is due in early March I think (and is having a boy!) will have some time to bond with her child and recover from childbirth before resuming duties. What do they normally do for birthdays? What would they do for Charlotte's? Probably falls around the festivities. Not sure tho. But anyway a baby's first birthday is very special although they do not remember(i.e the baby) so I doubt they would want to miss it.Anyway can you imagine the front page of the Daily Motion should they miss Charlotte s birthday. Definitely one for the books. It should be an exciting event! I appreciate and enjoy the tobe of this blog. Very informative and professional. I'm sure the Cambridge's must appreciate this type of media! Thank you! This has probably been mentioned but can anyone tell me how long they will be gone on this trip? They met both times as I recall reading. I think Phillip even "baby sat" the girls, Elizabeth and Margaret for a few hours around when Elizabeth was 8. He is the Queen's second cousin so they the family was cool with that. I think Phillip had a couple of his buddies there at that time and they did sports/games outside. My reference on that is not doubt archived somewhere on the web hopefully as I don't recall the specific reference. That may have been in one of the biographies of the Queen that I have read. Oh, and p.s., and btw, there are so many nice biographies out there on the Queen and on Prince Phillip and the Queen mum that are very good reads all on their own but that also help give insight and explanation to many questions raised here on this blog. Knowledge and understanding are key and these books provide a ton of it. If the political tension over the Koh-I-Noor hasn't settled down by the time William is crowned King, what do y'all think they would do for a Queen's crown for Kate? Do you think they would just temporarily replace the Koh-I-Noor with a different stone or use another crown altogether? Love your blog, Charlotte! While I mostly I come here to see the latest on Kate and her happenings and fashion, I am always fascinated, intrigued and captivated by the history and information that you share with your readers! Thank you so much for your lovely blog!! My impression from photos is that the Duchess prefers to wear just a few items of jewellery like earrings and a watch and only adds the bling on really special occasions like the state dinners. I think I remember reading that Queen Mary was the main one who built up the British Royal jewellery collection. The British Crown jewels had been largely disposed of by Cromwell so they had to start from scratch when the monarchy was reinstated with Charles the second. The Swedish and Danish Royal families have a large number of beautiful tiaras, necklaces etc which they seem to share around and wear frequently. 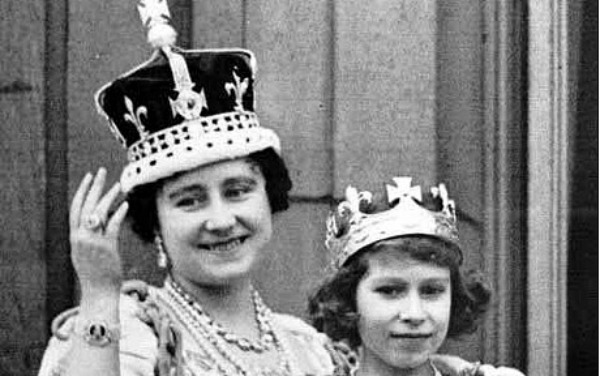 It would be interesting to know how the British tiaras are loaned out. Probably the more senior you are, the more chances you have to borrow them? However Charles may have been left jewellery items which Camilla now wears. Personally I think if too much jewellery is worn it can detract from a beautiful outfit. Yes, but that neckline on that gown was designed to showcase Jewelry. And, common sense dictates proper accessories. That doesn't AT ALL necessarily mean sparse. I would have loved to have Kate wear a set that she designed. That dress would have been a nice opportunity for that. Nothing as lavish is as the larger one she wore with it before and nothing as small as the necklaces she often wears. I think she is very capable of designing some beautiful pieces. Queen Elizabeth, as a young woman, was a "world class" beauty, a stunner. She was so beautiful that, actually, she enhanced the Royal bling, not the other way around. 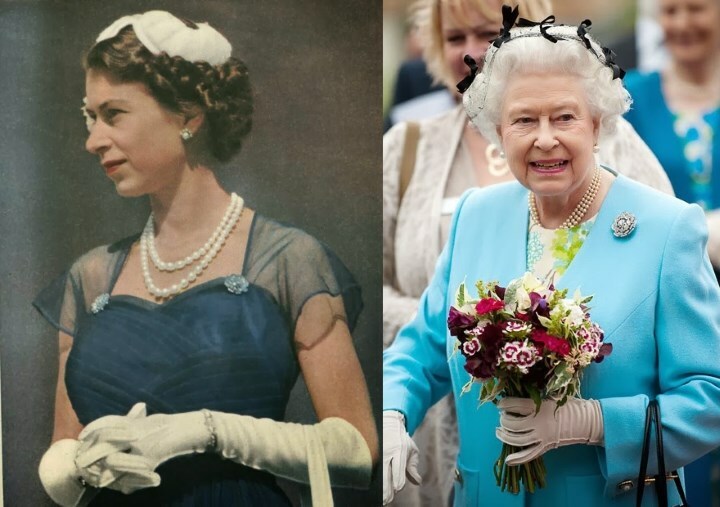 It is going to be challenging to match that as Elizabeth's pairings and wearings of many of those pieces have been iconically etched into history. Maybe you could do a post sometime about Kate's childhood? When will Kate's next out going be? Queen Elizabeth was definitely a stunner. She seemed to have so much fun with fashion and bling. It would be amazing to see her (Queen Elizibeth) or Kate's wardrobe. It is rare that either of the repete an outfit, they must have thousands! That would be fun. That would probably be a least a two day tour of just the current closets. in addition. Elizabeth has most of her clothes archived for history's sake, don't cha think? Maybe Kate does also. The RF seems to save everything, like christening gowns from centuries ago and Queen Elizabeth I's ring, etc. Even from just a textile perspective alone, not just fashion, the tour would be so much. It probably would. It is nice that they save things such as those you listed above. Have a look at this link. It reminds me of George at Charlotte 's christening. As far as any patronages, charities that the Queen and Phillip might not designate to any other family person prior to their passing, those patronages and charities will easily continue to flourish by virtue of the trusts set up for those things. Many people who have been patrons have passed and the patronages and charities still thrive and are secure due to the legacy of the trusts. PR events continue to keep everything fresh. And they continue to flourish. The world of patronages and charities is a close knit group. A world unto itself, and an influential and very wealthy one. Prince Phillip's and Queen Elizabeth's many patronages and charities are in good hands. Sort of like getting a Royal Warranty like many vendors they use. So no fear, no drama, no accusations necessary. The patronages and charities will easily, easily "Stay Calm and Carry On", and in style. I think the Kate decision makes sense, she's obviously a tennis enthusiast and attends regularly (the Queen wasn't one for attending Wimbledon) and it's a high profile patronage so a high profile royal is appropriate. I'm sure Kate will be thrilled. Strange thing about royal life really, the more "senior" you get in one regard, the more you get relegated to the sidelines as the main line of succession grows! I often think Charles should be more sensitive with how he treats his siblings, after all, theirs is the fate that awaits his own son Harry in another decade. So plenty of opportunities in the future to watch Kate watching sports ;) Was it Maggie or Moxie who joked about that?! I agree with you about this decision. She was always keen on tennis and got the best seat. I suppose she can watch matches after this officially. I will be really sad and disappointed if Charles decides to push back all his siblings and relatives. Sophie and Anne for example do a really nice job, it would be pretty much a loss. It would be a huge loss Anett. They do a lot. Charlotte, what an amazing post! Thank you for all of this wonderful history. In reading twitter today, I came to the conclusion most of you have already hit on which is, that I believe the reason Catherine has taken fewer patronages then "expected" is that all along, HM & DOE have been planning to pass some of there faves on to her- as evidenced in the two she just recently received. Listen I may be all wet on this but I think it's something to ponder. I hope we all have a safe & healthy week, Blessings to you all. I wonder whether women are really exempt from the effects of owning the Koh-i-noor diamond. 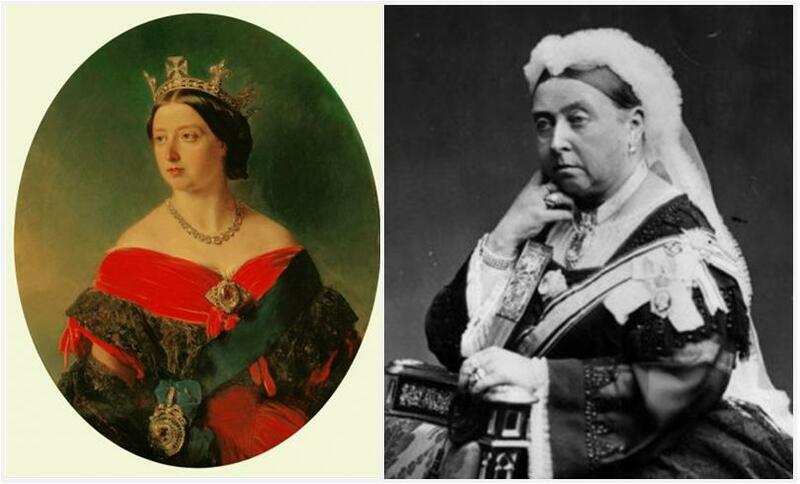 Queen Victoria and Queen Mother Elizabeth were widowed early. Queen Mary had to endure the deaths of three of her five sons during her lifetime, and the abdication of another. All of the twentieth century queens lived through terrible wars and their after effects. Of course I don't believe in curses, but if I did, I would not think any of them escaped the damage legend says is inflicted from wearing that diamond. Queen Catherine should avoid it for various reasons, chief among them diplomatic, but also as a sensible nod to superstition.